We all love trees, don't we? They provide welcome shade in the hot sun, help improve the quality of the air we breathe, and also provide a vital home for birds and other wildlife. So, there is likely to be a fair deal of interest in a 'tree trail' project which has been taking shape in Tamworth, Staffordshire. The community project to develop a 'tree trail' of fantasy stories and characters is capturing the imagination of local residents at Wigginton Park in Tamworth following a series of workshops with local groups and schools. 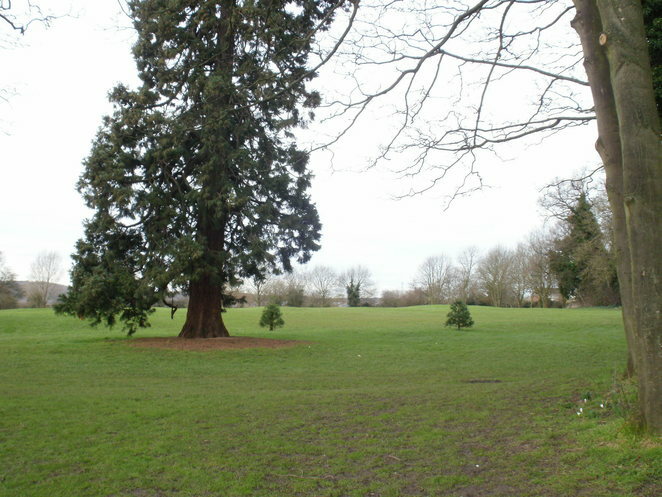 The Talking Leaves Tree Trail project, developed and supported by Tamworth Borough Council, Staffordshire Wildlife Trust, the Friends of Wigginton Park and MD Creative, has been working with local groups since July 2017 to create a collection of stories about carefully-selected trees around the park. The idea behind the project is that visitors to Wigginton Park will be able to find the trees on the trail and discover their individual stories and 'characters', while also finding out about local history and different species of trees. Participating schools and community groups took part in workshops with Mal Dewhirst, a local poet, writer and film maker, and Christine Genders, a story teller, actor and director from MD Creative to choose a tree and help create a character and story to go with it. Mal, who was appointed as the first Staffordshire Poet Laureate in 2012, is well known for his work with a variety of community projects and theatre in unusual spaces including building the Polesworth poetry trail. Christine has years of experience working with community groups, and amateur and professional theatre companies. Together with Janice Illesley, an experienced costume designer, they are working towards the launch of the Talking Leaves Tree Trail later this spring at Wigginton Park. The workshops involved the groups taking part in activities such as storytelling incorporating drama, design and craft work. Each group discussed features, myths and legends surrounding their tree to create the story 'character' and its traits along with designing the character's costume and mask. Mal Dewhirst said: "Working with schools and groups in Tamworth, we have woven the threads of myth and legend into new stories. 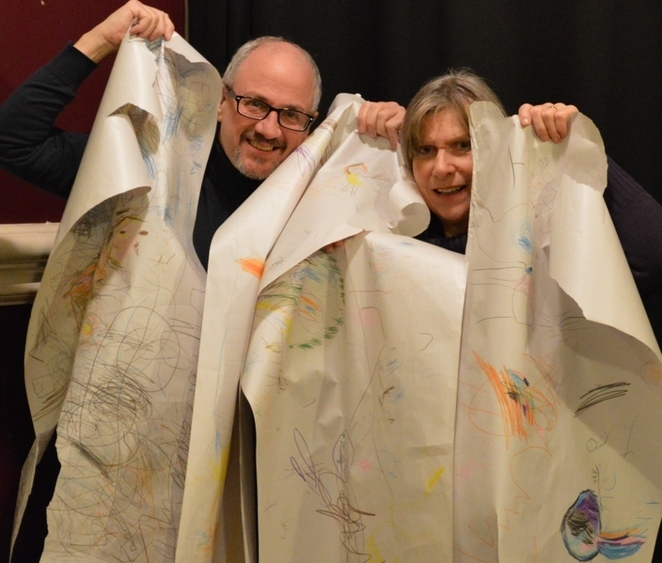 Participants, whose ages have ranged from two to senior citizens, have all created the mystical world that will become the Talking Leaves tree trail." Mal and Christine will now take the information and story boards to create a final story that will be added to panels which will be installed in the park for the trail. Janice will design costumes based on drawings by workshop participants to help the characters 'come to life' during a special trail launch event later this year. The unveiling of the stories at the launch will include theatre and dance performers dressed in the character costumes. People who follow the trail will be able to put the collection of stories together to create a complete 'book' of tales. Councillor Robert Pritchard, Deputy Leader of Tamworth Borough Council said:: "This exciting project has involved local groups to create stories that will inspire, educate and relate the community with the park land and the tree species. 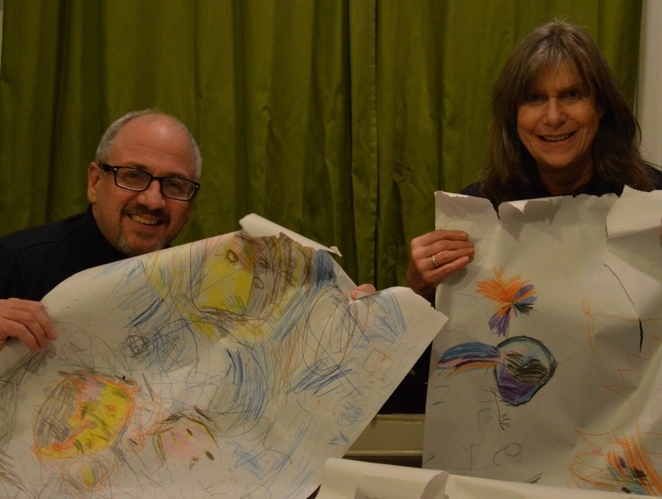 Children as young as two and adults up to 70, have all been able to contribute their ideas and designs. The launch of the trail will be a chance for all groups and local people to see the tree trail for the first time in its entirety. Local performers and dancers will bring the characters to life and help describe the tales of each tree. This will be an ideal opportunity for more people to visit the park and engage with this local beauty spot."